Up until the 18th century, Sunderland Point was the main port serving Lancashire. Trade was undertaken with the West Indies involving cotton, rum, sugar and to a lesser degree, slaves. Sambo, it is thought, was a young slave, possibly bought at auction, and taken into service by either a sea captain or a merchant with the idea of using him as a personal attendant. How old he was, how long he served and the manner of his death are all unknown today, but there are two theories as to what happened. One states that he was the sole survivor of a shipwreck, perishing shortly after being washed ashore. This would appear to be a verbal tradition, not appearing in print until fairly recent times. A more traditional version tells us that Sambo's master, having being called away unexpectedly on urgent business, left his charge to wait for him in or around Sunderland. The lad then either perished through the cold, or more romantically, fearing that he had been abandoned forever on an alien shore, died of a broken heart. 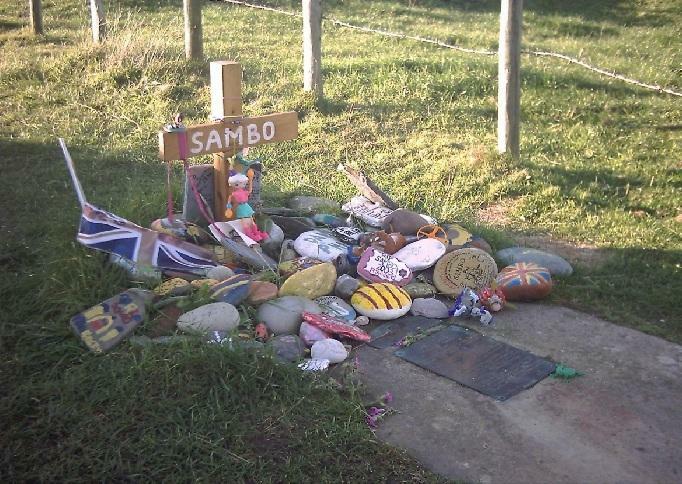 The verse suggests a date for Sambo's death of around 1736, although another version of the story dates it at around 1720. 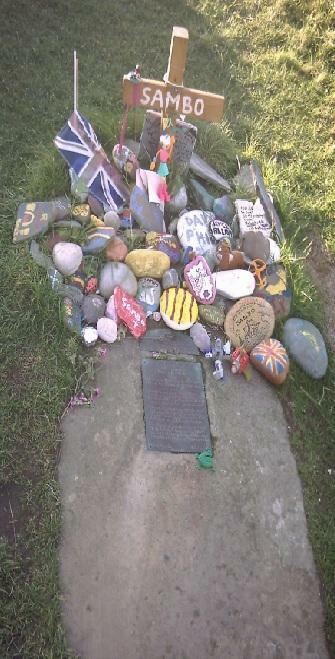 Repeatedly vandalised, the grave now bears a plea for respect. The grave lies in an open meadow on the west shore of Sunderland Point, a short distance up a lane leading off the Esplanade. 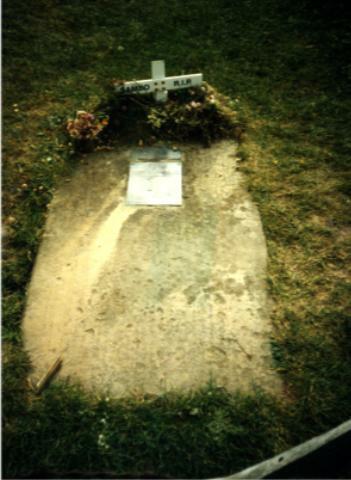 When I last saw it the grave was easily located and still in a well maintained condition. (Note that the road access to Sunderland is tidal).